In my article entitled “Mandolin Chords,” I showed you a number of two finger chords you can play on the mandolin. Armed with that knowledge, there are thousands of songs you can play simply by strumming the chord and singing, humming or whistling the song. Before you can do that you will need to figure out which chords to play when. The good news is that most bluegrass songs can be played with just three chords. These three chords form a little family called a “Key.” We often give the chords in this family the numbers 1 4 and 5. 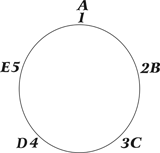 As you can see in the illustration below, in the key of A, the 1 is A, 4 is D and 5 is E.
Let’s take another example, the key of G. In the key of G, G is 1, C is 4 and D is 5. To make your task even easier, I’ve compiled the following list of bluegrass songs that only use only two chords. Important Fact: When a song has only two chords, only the 1 and the 5 chords are normally used. Select a song from the list that you’re familiar with. For the moment, let’s choose the well-known folk song “Down in the Valley.” Let’s play it in the key of D. That means the 1 chord is a D and the 5 chord is an A. Or if you prefer to do it in the key of G, the 1 chord is a G and the 5 chord is a D. Correct? So strum your 1 chord, and begin singing or humming the melody as you strum down with your pick on the chord. You already know what chords to use, the 1 and the 5. What you may not know is WHEN to change chords. The melody will tell you when to change chords. The melody needs to sound harmonious with the chord you are playing. If the melody clashes with the chord you are on, change to the other chord. Pretty soon, you’ll get used to what sounds good and what doesn’t. TIP: Most bluegrass or folk type songs always start on the 1 chord. Somewhere in the middle or end of the verse, it will change to the 5 chord. On the very last word of the verse it will resolve back to the 1 chord. Don’t You Hear Jerusalem Moan? Will You Be Satisfied That Way? 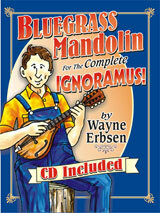 By the way, I wrote a book for beginners, Bluegrass Mandolin for the Complete Ignoramus! This book will be your new best friend. Its friendly style and easy songs makes learning the mandolin fun and nearly painless. It comes as a set with a CD with 90 tracks where I play each melody very slowly and clearly on the mandolin. 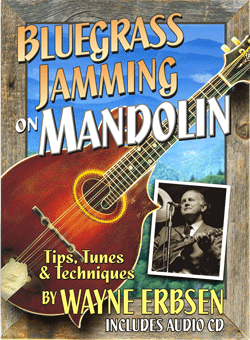 More experienced pickers should check out Bluegrass Jamming on Mandolin! This book covers how to play with others, how to improvise, how to add licks and fills, and pretty much everything you’ll need to march confidently into your next jam or picking session. You’ll love it, guaranteed. 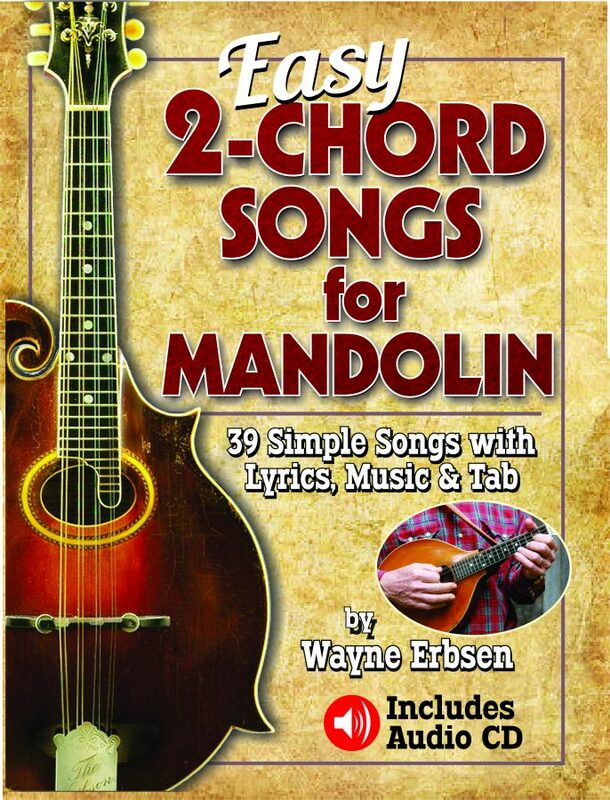 NEW: Easy 2-Chord Songs for Mandolin is hot off the press! It doesn’t get any easier than this: you’ll learn 39 classic bluegrass, gospel and folk songs with only TWO CHORDS. The book is spiral bound and comes with a CD. How can I send the payment? Will postal charges be included? Sending to Romania? You can order on this website (www.nativeground.com), and you can buy the physical book or a PDF that you can download (this might be the best option if you live in Romania). If you want the physical book mailed to you, shipping charges to Romania will be calculated automatically at checkout. Oops… I want chord style; hate videos.